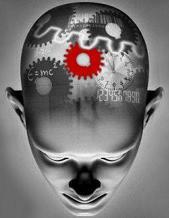 Some academics see Artificial Intelligence (AI) as cognition oriented, so are many psychological models of personality. Human behavior contains both cognitive and motivational factors, motivation brings an often implicit frame of reference or context to cognition without which cognition makes no sense as a rational meaning. Human behavior cannot be fully understood or mimicked without modeling motivation.